Tulalip Tribes Chairwoman Marie Zackuse before addressing Canada's National Energy Board. The NEB has twisted the definition of public interest to sacrifice the Salish Sea, the people who rely on it, and even the air we breathe. A Canadian federal agency today formally recommended approval of the Trans Mountain Pipeline Expansion, a move strongly condemned by Coast Salish Tribes on both sides of the U.S.-Canada border. 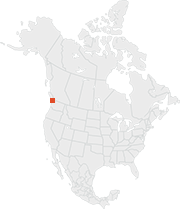 The proposed tar sands pipeline expansion is one of several projects that would dramatically increase the passage of tankers and bulk carriers through the Salish Sea on both sides of the U.S.-Canada border. In November 2018, representatives from U.S. Coast Salish Tribes joined Canadian First Nations in Victoria, British Columbia, to testify before Canada’s National Energy Board as part of a review of the proposed pipeline expansion. Despite testimony and legal arguments presented by First Nations and U.S. Tribes describing the significant harms the pipeline expansion project will cause for their communities, the Canadian federal government made a determination to push ahead with the project. The Trans Mountain expansion will triple oil tanker traffic through the Salish Sea — imperiling endangered orcas, increasing navigation risks for fishermen, and increasing the risk of a major oil spill. Tulalip Chairwoman Marie Zackuse, Suquamish Chairman Leonard Forsman, Lummi Hereditary Chief Bill James, Swinomish Senator Brian Wilbur, and Swinomish Senator Jeremy James Wilbur lead U.S. Coast Salish tribal members into a hearing before the Canadian National Energy Board in November 2018 in Victoria, British Columbia. The National Energy Board decision disregarded these and other comments shared during the November 2018 oral testimony. For media interviews, reporters should reach out to Tribal contacts listed above. In 2013, four Northwest U.S. Tribes — the Swinomish Indian Tribal Community, Tulalip Tribes, Suquamish Tribe, and Lummi Nation — intervened in Canadian permit proceedings over the new tar sands pipeline, joining scores of Canadian First Nations and conservationists, the cities of Vancouver and Burnaby, and the Province of British Columbia in opposition to the pipeline. The U.S. Tribes’ position before Canada’s National Energy Board represented a critical call to safeguard the Salish Sea from increased oil tanker traffic and greater risk of oil spills. The Trans Mountain Pipeline Project calls for tripling the amount of oil shipped from tar sands fields in Alberta to approximately 890,000 barrels per day to the British Columbia coast. The pipeline would cause an almost seven-fold increase in oil tankers moving through the shared waters of the Salish Sea, paving way for an increase in pollution, noise, groundings, accidents, and oil spills. The proposed tar sands pipeline expansion is one of several projects that could dramatically increase the passage of tankers and bulk carriers through the Salish Sea on both sides of the U.S.-Canada border. Take a look into the fight to protect the Salish Sea. View our case page for additional files. 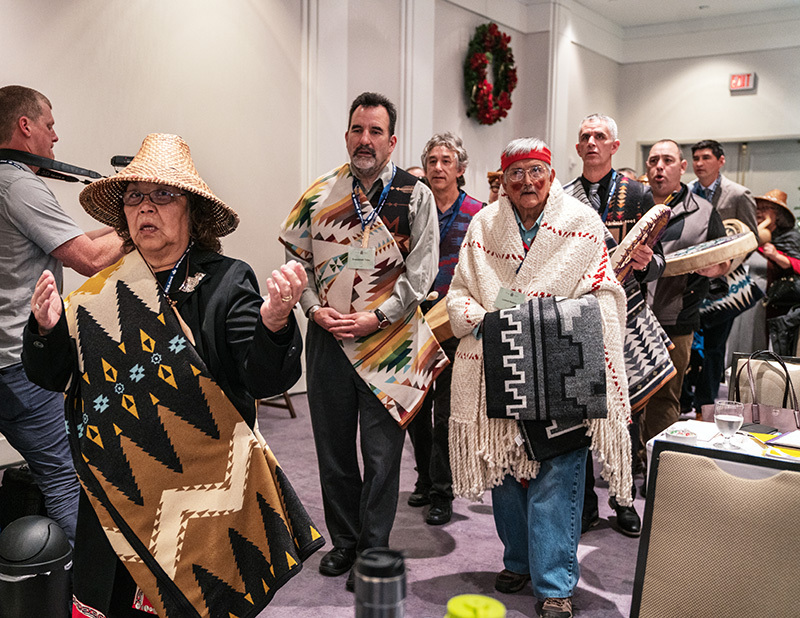 Photos of U.S. Coast Salish Tribal testimony before Canadian National Energy Board. Credit: Alex Harris for Earthjustice.